2019 - 2020 ACADEMIC YEAR. A well-proportioned seven bedroom HMO property located in the popular Jericho area, within walking distance to Oxford City Centre. Available 1st August 2019 - Rent ?131.54 per person per week. The Agency Fee for the property is equivalent to 30% (including VAT) of the monthly rent or ?150 (including VAT) per person, whichever is the greater. The minimum Agency Fee is ?360 (including VAT). 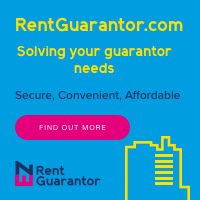 There is only one fee charged throughout the duration of your tenancy which covers marketing and administration costs as well as credit checks, references and inventory charges. Tenants will not be charged a further fee at the end of the tenancy but a reduced agency fee will be applicable for all renewals.